As an initiative to increase home-ownership for the nation, the Prime Minister, in the Budget 2018, has allocated RM2.2 billion to the housing development in Malaysia. Comment: The exemption is not restricted to just one residential property, but as many properties as the individual owns. Comment: Written tenancy agreements (as opposed to equitable tenancies) are essential to claiming this exemption, with a fair assumption that the tenancy agreement should be duly stamped in order to qualify. Tax exemption is given for a maximum period of 3 consecutive years of assessment from 2018 to 2020. 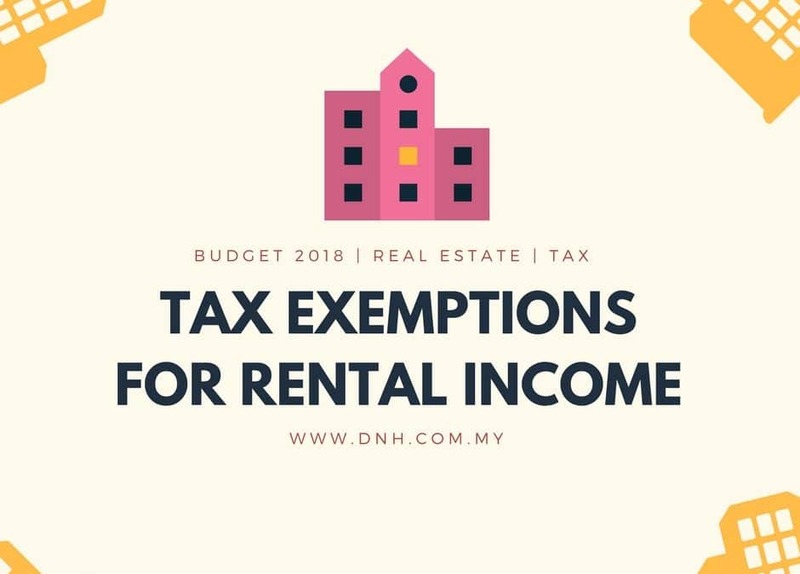 The actual Budget announcement itself does state that the Government hopes “to encourage Malaysian resident individuals to rent out residential homes at reasonable charges”. Some have lamented that the tax exemption should have been granted to tenants to assist their costs of renting, instead of benefitting landlords who can afford to purchase investment properties. On the other hand, some believe that the exemption will encourage people in the higher-income tax bracket to buy more investment properties to rent out and possibly help to ease pressure from unsold and overhang units in the market. Will the usual ‘Malaysian tax residency’ test of an individual who resides in Malaysia for more than 182 days in a year apply, or will a different test be applied? Rental income as gross income or net taxable income? Is the requirement of RM2,000 per month a gross rental income or net income (less maintenance, outgoings, interest etc)? Will the online terms entered into between Airbnb hosts and guests fulfil the requirement for a ‘legal tenancy agreement’? What other documents should the taxpayer compile and retain in order to prove that it qualifies for such an exemption in the event of a tax audit? While the tax exemption proposal appears to be good news for landlords and local property investors, it will be interesting to study the actual provisions and amendments to the Income Tax Act when it comes into effect. This article was written by Shawn Ho (Partner) with assistance from Natalie Ng (Intern).